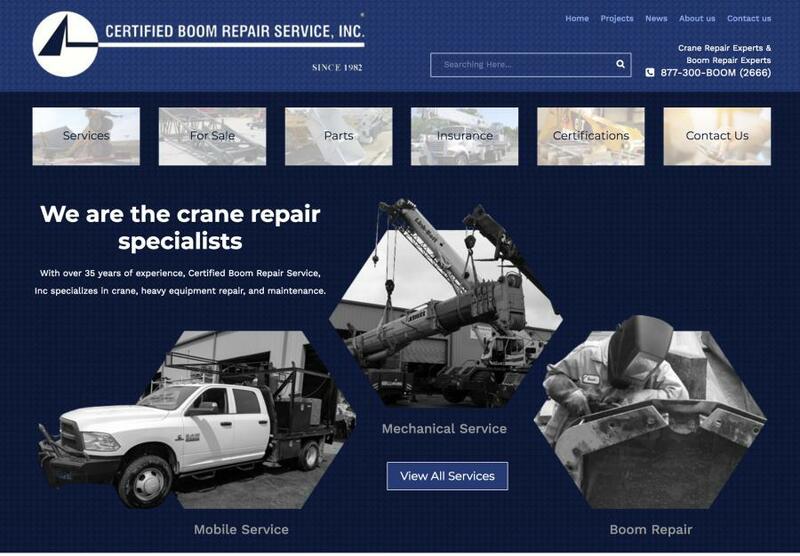 Certified Boom Repair has recently unveiled a new website. Certified Boom Repair has recently unveiled a new website. With new features such as an e-commerce platform, newsletter sign up and blog the company ventures into the present and ramps up its online platform. In addition to reinforcing its service capabilities, which include hydraulic and lattice boom repair, mechanical service, maintenance and more, Certified Boom Repair has introduced an e-commerce page to give visitors the opportunity to stock up on Lube-A-Boom products, rigging and more. With the addition of a blog and newsletter service, the 30-year-old service company is reaching out to current and future connections by sharing relevant industry content, company updates, current projects and more. “We hope people will learn more about our product and service offerings through the newly designed website with e-commerce capabilities,” said Smith. Certified Boom Repair Service Inc. specializes in boom repair, structural welding repairs, heavy equipment service, maintenance and more. For more information, call Tyler Smith at 813/247-1963 or email tyler.smith@certifiedboomrepair.com or visit www.certifiedboomrepair.com.